Believe it or not, without Elsa Lanchester, there probably would not be any Cult Sirens website. In fact, it’s not exaggeration to claim that her immortal role in Bride of Frankenstein can easily make her the ultimate Siren in history, considering that this unique character may be the ultimate female role in a horror movie. Nothing less! I enjoyed Bride of Frankenstein for the first time in a simple house in the country, around 2 AM, on a PBS station that our black & white TV set could get when the weather permitted it. As the movie flashed by before my eyes, I was more and more assured that it would became my all-time favorite movie of the horror genre… which is the case more than 25 years later. Needless to say, Elsa Lanchester’s inestimable contribution played a big part for my love toward the film. I can still easily remember my first sight of this tall bird-woman with a curious Egyptian style, particularly a close-up with her reaction when seeing the being responsible for her creation, the Frankenstein Monster himself, who would be rejected in the worst infernal blind date way possible. This image will forever be implanted in my brain. Thus, this supposed Bride of Frankenstein possessed all the ingredients to be acclaimed as a Siren: mystery, beauty (in her own personal way) and alluring screen presence. Elsa Lanchester was born to an eccentric family on October 28, 1902, in England. Her parents (James and Edith) were considered as Bohemians in all aspects of the word, refusing to legalize their union in any conventional way to satisfy the era’s conservative society. An older sibling, Waldo, completed the family. Edith’s parents even successfully sent her to an asylum for a while, as she refused to wed James even if she wanted to live with him. Shocking! Consequently, Elsa and her family moved numerous times. At 11 years of age, Elsa was enrolled at Isadora Duncan’s School of Dance, in Paris. Sadly, the start of the first World War would prevent her to ever graduate and she was sent home. Still very young at 12, the war situation obliged Elsa to find work, as she soon became a college dance teacher. Four years later, she helped create the Children’s Theater in London and gave lessons for some years. Of course, she was part of an artists group, Cave of Harmony Productions, performing many songs and short sketches in cabarets. In 1927, Elsa made her movie debut in One of the Best. The same year, as she was part of the cast of the play Mr. Prohack, she met another young actor that would change her life in a definitive way: Charles Laughton. Laughton (born in 1899) was also an actor starting a promising career. He would wed Elsa on February 10, 1929. In 1931, the couple came to the USA for the first time, as Charles was invited to reprise his role in the play Payment Deferred. The two would make many back and forth trips between England and the States, eventually becoming American citizens in 1950. In America, Elsa would start a long career in television and on the big screen, playing eccentric characters more often than not with humorous touches. She would work with Laughton about ten times, most memorably in The Private Life of Henry VIII (1933), Rembrandt (1936), Vessel of Wrath (1938), The Big Clock (1948) and Witness for the Prosecution (1957). Elsa became very busy in the thirties and would enjoy personal glory for Bride of Frankenstein. In this movie, directed by the amazing James Whale, she also played a second role, that of Mary Shelley, the young woman who wrote the original Frankenstein novel in 1818. 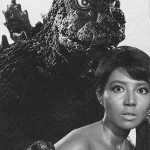 This Bride remains without a doubt the most popular female monster in history, with good reason. In 1998, the movie Gods and Monsters paid homage to the creators of the 1935 production, with Rosalind Ayres playing Elsa. The next year, Elsa was cast in a charming fantasy by René Clair, The Ghost Goes West. She would remain in demand for the war years, appearing in classics such as Ladies in Retirement, Son of Fury, Tales of Manhattan and Lassie Come Home. In The Spiral Staircase (1946), she was following a script that was ahead of its time in dealing with a serial killer. In 1950, Elsa was nominated for an Academy Award for Best Supporting Actress for Come to the Stable. In 1958, she could be seen in a fantasy comedy, Bell, Book and Candle, with Kim Novak as an enticing witch. Charles Laughton passed away in 1962, after a battle with cancer. Here was a peculiar union, as we now know that the actor was gay. This didn’t seem to bother Elsa, if we remember her odd family history. 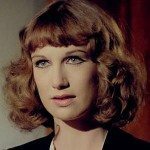 As the sixties began, anyone could notice that Elsa had gained some weight, but she still played supporting parts in her own funny manner, participating in TV series such as The Man From U.N.C.L.E. She became a retired nanny that would be replaced by Mary Poppins in the movie of the same name and would soon take part in some Disney family comedies, namely That Darn Cat! and Blackbeard’s Ghost. Like other Cult Sirens, Elsa would meet Elvis (but not in a romantic role!) for Easy Come Easy Go. In 1971, Elsa has a part in the horror movie Willard, a box-office hit at the time, playing the role of the title-character’s mother. 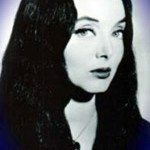 Her last horror roles were both in 1973: in Arnold, with a script tainted in dark humor, alongside Stella Stevens, and in Terror in the Wax Museum, reuniting many former Hollywood stars such as Ray Milland, Maurice Evans, John Carradine, Louis Hayward and Broderick Crawford. In 1976, Elsa played a role loosely based on Agatha Christie’s Miss Marples for the mystery-comedy Murder by Death. Her last part was for another comedy, Die Laughing, in 1980, perhaps a fitting title. 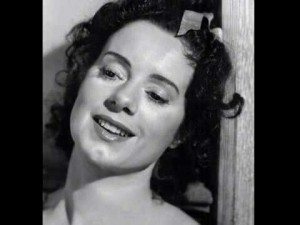 On December 26, 1986, Elsa Lanchester left us for a better world at the respectable age of 84, victim of pneumonia. 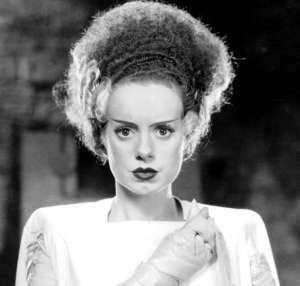 If her role in Bride of Frankenstein would’ve been her only one, she would still be considered an immortal to this day. Parodied but never ridiculed, the Bride of Frankenstein remains one of the most unique and troubling vision in motion pictures.